It's a rare time when I can catch two of them together - though I certainly see them whizzing by often. Think the lower one is up to no good! Does look like it's up to something. Great capture. This just made me smile! FAV! Ha Ha what a cute shot and great timing Milanie! What a classic scene to have captured so clearly! They are such territorial little things. 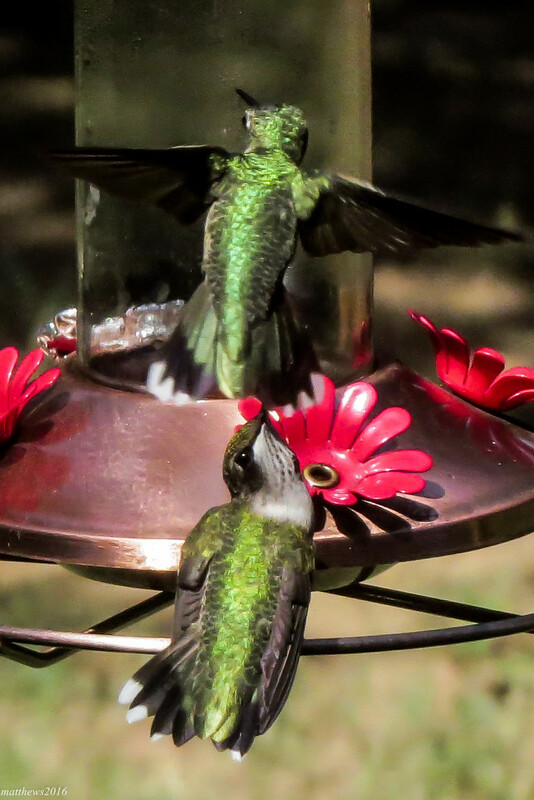 We have 3 or 4 that visit our feeder throughout the summer and they are so funny to watch. Wow! Amazing timing and what a beautiful colour!